Much of the talk is sensationalism and fails to really capture what capabilities dogs have to offer and how we can best integrate dogs into our Special Operations teams. I hope to open your eyes to things you either never thought of, or previously thought were impossible with dogs. There are tremendous advantages to integrating dogs into military operations, to include Special Operations teams. But to be completely honest, there are also a few disadvantages that should be considered. You can determine if the advantages out-weigh the disadvantages. It seems apparent that, at least for this mission, the SEALs determined that the advantages were worth the work. So let’s examine what these disadvantages are before we start talking about how dogs are assets. Dogs require additional training. As with any soldier, you must train a dog to do what you require it to do. One of the benefits that Special Operations teams have is that most of their lives consist of training. But there’s certainly an aspect of training that must become specific to the dog. However, if you use a little imagination, you can integrate most of this training into other team training to minimize this aspect. It would be particularly useful if the initial training (obedience, scent work and bite work introduction) of the dog is complete prior to introducing the dog to the team. 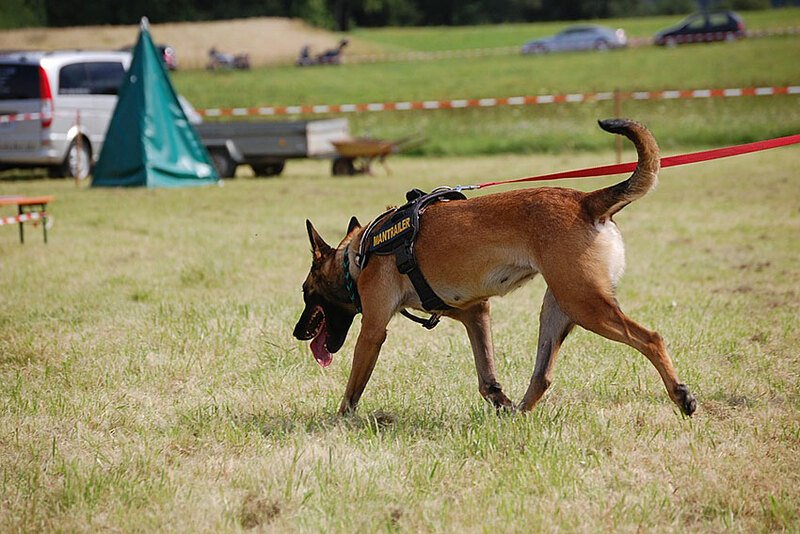 Once a dog has been introduced to the techniques needed to be useful to a Special Operations team, the dog is simply integrated into all training with the team from that time forward. So just as all Special Operations under go an initial training period where they learn the tactics, techniques and procedures needed to be useful to the teams they are about to join, the dog must undergo the same training. Is this really a disadvantage? There is equipment specific to the dog that is required for much of the things that a Special Operations team would do. Harnesses are required for airborne operations, rappelling and the like. Long lines may or may not be required for certain applications of tracking and scent work. During close quarters combat, ballistic vests may be needed as well. Some handlers might want to put boots on dogs for certain applications, or even goggles. So while adding a dog to a team may require specific equipment be used, which of the other soldiers on the team don’t require this equipment as well. While this is a planning consideration, is it really a disadvantage? This is the number one complaint or objection I hear when introducing this idea to Law Enforcement SWAT Teams, and standard military units. I have also heard this argument used by Tier 1 Operators, but thankfully they are almost always open to the “show me” counter argument. Dogs certainly can have these disadvantages, but they don’t necessarily have them. Just as the SEALs have a rigorous selection process, the dogs used for these applications must also be selected to be capable of performing. Dogs from a highly capable breeder can ensure that the lines of dogs have far more dogs that can perform these functions that not. The Germans had almost perfected this breeding technique during WWII and Baden K-9 of Ontario, Canada carries on their breeding techniques to this day. We’ll discuss how to ensure that these disadvantages don’t show up mid-mission in this series. For an operator, these “tricks” are essential to all team members whether they walk on two legs or four. So this disadvantage really plays back into the first, there’s going to be additional training time involved. One great benefit to the trainer however, is that once a few dogs are trained, you can train the rest of the dogs with and around these trained dogs and the rate of learning will go up dramatically. Puppies always learn faster with adult dogs around. So now that you are aware of the primary reasons people say that dogs can’t be integrated into Special Operations teams, or at least why these opponents would say they shouldn’t be integrated, let’s discuss the reasons these dogs are being integrated onto these teams at an ever increasing rate. No, I am not talking about the warm and fuzzy feeling you get when you pat a dog on the head or scratch him behind the ears. I am talking about the cold shiver that runs up the spine of the enemy when they see the arms being ripped off their buddy while taking fire from you and your team. This is the psychological advantage that the dog brings to the battlefield. Especially among the religious peoples of the world who believe that being touched, much less bitten, by an “unclean” dog damns them to hell if they die without cleansing themselves. In simple terms, a force multiplier is anything that gives you a strategic advantage with fewer personnel. It makes 10 men able to effectively combat 100 men. While there are many types of force multipliers, let’s consider a few that the dog can bring to the battlefield. There are so many ways that dogs can be used for surprise. Dogs can be deployed through small spaces to emerge from locations the enemy would never suspect an attack from. They can deploy through windows with no warning. When men are shooting at one another during a firefight, dogs are practically never even seen before they strike. Their reduced size and incredible speed mean that they can be across a room much faster than a man can, causing confusion in the enemy during a raid. There are many ways that deception can be used, it is most effective when combined with distraction. Deception can be giving the enemy the impression that they are surrounded when they are not. A dog moving in and around combatants causing them to be attacked from varying different angles, quickly throws them into confusion and gives the organized raiding force a distinct advantage. Many may raise an eyebrow at this, but give me a second to explain. Dogs are the ultimate in low technology, brute force and destruction to men, but they give a technological advantage on the battlefield. Dogs can be used to carry equipment into locations that men cannot go, or that would take men much longer to get to. Dogs can move through narrow tunnels or pipes where men simply cannot be effective. With radio receivers in their ear (yes, these exist) and infrared cameras mounted on their backs, these dogs can be highly effective intelligence gatherers. Dogs can be trained to take detailed commands such as “turn right,” “stop,” back up” and so on. Anything that you can mount on a robot, you can mount on a dog, and robots can’t bite you. In addition to assisting soldiers with the above force multipliers, dogs also bring something to the battlefield that simply cannot be reproduced by any machine or technology that we yet possess. 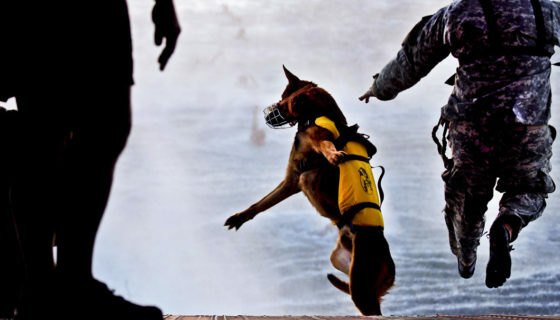 Let’s consider the primary capabilities a dog can offer a Special Operations team. One of the greatest capabilities a dog can bring and the primary reason they are used by law enforcement and military, is their sense of smell. While humans walk into a restaurant and smell the food (they may even distinguish the types of meals being prepared) the dog detects whether it is electric, gas or wood stoves being used; the type of meat being cooked; the spices being added; the cleanliness of the cooks; the sicknesses of the patrons; who is carrying weapons; and if there are any explosives of drugs present on the grounds. Wouldn’t you love to be able to tell all that with just your sense of smell? From a tactical standpoint, dogs are the fastest way to detect explosive booby traps so that team members can avoid or disarm them. They can indicate on rooms that have people in them or are vacant. And in the situation of a fleeing suspect, or even the case where you find no one, they can indicate that there was someone there and be used to track that person down. These capabilities are impossible to replicate. Sure, operators can carefully search for, detect and avoid or disarm booby traps without dogs. Certainly, infrared technology exists to determine if there are occupants in a room or not. Absolutely, there are men who can track down suspects through the use of observation. But none of these things can be done by man at anywhere near the speed that the dog can do them. And each of these capabilities are highly specialized and take years of training to become proficient at. But the dog does them all naturally. We must simply communicate to the dog what we want them to detect. Dogs don’t have all that much better hearing than humans in the ranges of sound that we both detect. But a dog has a much larger range of noises they can hear than humans do. When I was training dogs in counter sniper techniques, during our testing stage we had various military and law enforcement sniper teams moving in the field. I was amazed to discover that the primary sense used to detect these teams was not scent, but hearing. The dog could detect the slightest clink of metal, or crack of stick, or fence being disturbed. During 4 days of testing, every team in the field was detected multiple times and tracked down as a result of the sense of hearing of my dog. For a team of operators, you should never shrug off the specific indication of your dog on sound. Always pay special attention to the area they are focused on. Ears erect, eyes focused, and tense body almost always means there is someone there. This has been mentioned briefly, but the size and agility of the dog offers a distinct advantage to the Special Operations team. I have deployed dogs, or seen dogs deployed, into air conditioning ducts, small culverts or holes in cave walls that it would have been very difficult for men to get into or through. Dogs can also leap obstacles that men simply cannot, or that would cause noise and give away their position. I even have several dogs trained that can climb trees. (I have won a few bets with this one.) But dogs can be placed in various positions awaiting their handlers command to join him or attack from a different angle to cause confusion in the enemy. I have mentioned several options above, but wanted to make sure that the capability of the dog to combat humans is tremendous. Unfortunately, most of the training methodologies out there render many of the dog’s natural instincts in a fight useless. We will discuss the training and requirements for a Special Operations dog’s bite training and employment in the next article. 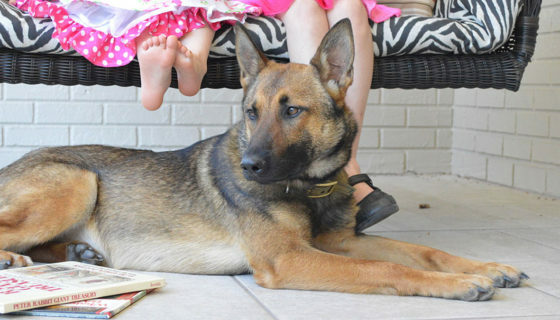 Dogs are tremendous assets to a Special Operations team. They can be integrated into practically any mission you can imagine. They are force multipliers and bring capabilities to the battle that humans cannot replicate, or at least they can perform these functions at a much higher rate of speed. Join us next time as we discuss in more detail, the combat capabilities of a dog and what a Tactical K-9 must be able to do to be effective in battle. Until next time, this is Joel with Dunetos K-9, helping sharpen our world…one dog at a time. Editor-in-Chief’s Note: Please join us in welcoming Joel Rylas as a contributing author on ITS Tactical. Joel is the founder and head trainer of Dunetos K-9, a training facility and equipment manufacturer specializing in Tactical and standard K-9 equipment. He’s been training and handling dogs for over 10 years and works closely with Baden K-9, a highly respected training facility in Ontario, Canada. Joel has served in the United States Army for 11 years as a Military Police Officer deploying to the Pentagon days after the 9/11 attack, Afghanistan (2003), Iraq (2007) and is currently serving in Bogota, Colombia in the War on Drugs. Joel has specialized in integrating dogs into every aspect of life, from personal obedience and protection to specialized military application.